With a new baby comes new responsibilities for an older sister. This is what Deja is about to learn. Join Deja on her new adventure in this picture book series with an empowering message: You are never too young to learn the value and joy of helping. Deja has been waiting for her baby brother to arrive and he is finally here! Now she is a BIG Sister! While visiting her baby brother at the hospital, Deja gets a special gift. The gift gives her SUPER HELPING POWER! Find out what happens with Deja as she begins a new adventure as a SUPER BIG SISTER, learning how to use her SUPER HELPING POWER to save the day!! In a world of espionage, deception, betrayal, terrorism, and murder, Dydre uses the next assignment Zsigmond gives her—the deliverance of new technology to terrorists—to escape his merciless grip. Dydre, a single mother, is caught up in a world she doesn’t want. Her boss Clayborne Zsigmond—a black market arms dealer—uses her six-year-old son as a pawn to keep her in line. Visitation is a reward for her obedient behavior. Forced to deal with the worst terrorists and dictators around the world, she uses disguises and a deadly poison to give her an edge in dealing with those that want to kill her. To stay alive she has honed her skills that few could defeat. When an opportunity occurs to break free from Zsigmond, she moves fast but the risks she takes puts her on the firing line when her plan goes deadly wrong, and success looks bleak. Those she thought she could trust betray her. Not only is her life in jeopardy but also her son’s as she finds herself pitted against Zsigmond, his mercenaries, a double-crossing businessman, terrorists, the FBI, and a man from the Department of Defense. Two young men, living separate lives more than a century apart, are hounded by the same dark entity. 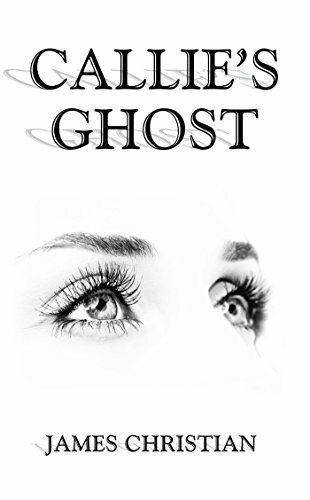 Against the backdrops of nineteenth century Louisiana and Paris, through to modern day Florida, they each struggle to save their souls and to find love and happiness. This is a story about the battle between good and evil. What happened in Vietnam … didn’t stay in Vietnam. It came home with us! This edition of Silent Spring – Deadly Autumn of the Vietnam War, is an account of war – a tale of anger and determination – a chronicle written in sorrow and hope. It’s the story of countless veterans who served in Vietnam and many of their children. The book is both a memoir and an investigational voyage into all the issues the U.S. government doesn’t want you to know about the Vietnam War. It’s not just another paperback about Vietnam or Agent Orange. Rather it’s a “silver bullet” which cuts through to the heart of the circumstances and chemical used during that war—toxic enduring herbicides and insecticides—which in some cases are still being used to this very day all over the globe, even right here in America. So, forget everything you’ve heard from the government and what you think you know about the Vietnam War because you will be absolutely stunned by what the US government had willingly dumped on Vietnam and its own troops. Reading a sports-themed inspirational novel is one of the best things about literature. You get to learn a lot about particular sports and your heart is filled with hope and aspirations at the same time. 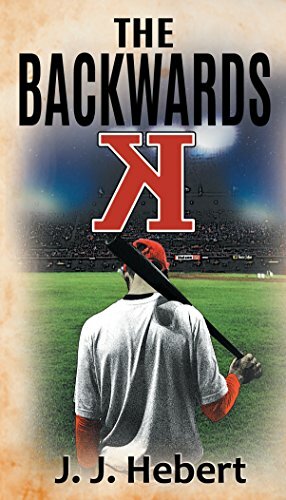 ‘The Backwards K’ is a great book simply because the author wrote it with enthusiasm and deep feelings. The book is nothing but entertaining, exciting, fun to read and educative. There is so much one can learn from Jet Brine’s life; everything from his struggles, achievements, goals, personal life, general work and contribution to the baseball community. Reading about Jet Brine’s love for baseball was a wonderful experience. I learned how passion and dedication can make you move mountains through his life. Each one of us wants to be a winner and achieve set goals at the end. Jet Brine made me clearly visualize this. Jet Brine’s end game was to be the best at baseball. He loved slot machines too and enjoyed playing the games. I loved that about him because they made the story cheerful and happy. I loved reading Jet’s story up until things started falling apart. I must admit that I did not see the troubles in his marriage coming, as he seemed so much in love. Linda is among the characters I loved in the book. I had so much faith in her as she seemed to turn things around. She rarely disappointed and was incredible throughout. She was one of the engaging characters whom I could feel connected to. I loved how she reasoned and how she brought the best in everyone. I appreciate her because her encounter with Jet Brine made the plot interesting and fun to read. The Backwards K is a fictional inspiration book which apart from being entertaining, offers lessons that can help the reader in real life. It is great when a work of fiction blends with the real world, making the reader relate better to the events and the characters in the book. There are some things that most of us did in the past and would love to forget or overcome them. Jet Briner struggled with such things and got to be in situations where he needed to forgive self to move forward. Through Jet Brine, one gets to see how imperfect humans are. You may excel in everything else but one thing comes between you and your success. I am glad the author helped me examine myself when he wrote about Jet. The major theme in the book may have been sports but the author sure explored a lot of issues through the main character. J. J. Hebert is an excellent writer. His way of storytelling is great and his execution of characters worth noting. Everything in the book flowed well; the plot, themes in the book, lessons, the diction and the general presentation of content. The author is skilled in more than one ways. I love that he made me inspired and motivated by reading Jet Brine’s story. One good thing about J. J. Hebert is his style of narration. One easily grasps what he is talking about and fully enjoys the story. You know you’ve started a good mystery story when within the first few pages you’re hooked and questions are flying. Ben is eagerly awaiting a trip to Morocco that he has been planning to undertake for some time when he’s given an offer. From here the book takes the reader on an exploration of how money is used around the globe to sponsor terrorists and undermine countries. The pace picks up quickly, and the intrigue is built up well, making the book hard to put down. Author James Christian’s career as a university professor at universities around the world shows as he builds up the different locations in the novel. I really felt like I was being taken across the world as I was zipped from the United States to Morocco. The writing style is clean and descriptive. It’s clear that Christian really understands how to pull together an engaging plot and create characters that feel real and easily pull the story along. From the very beginning of this book, I found myself questioning everything. Government employees, a secret offer, an international trip, and add to that the mysterious title of the story. I was sucked in and was captivated beginning to end. This has an exciting plot that really makes you think about the world around you. Christian was very successful on this front as he was able to deliver a clear message with a thought-provoking plot while never sounding preachy. The story is action packed and full of fun twists and turns that kept me on my toes. I really liked Ben as a character. He’s smart and dedicated to his job and shows a lot of passion. He’s a great vessel through which to enter into this story. If you like international mystery stories, or political corruptions and espionage stories, then I would definitely suggest that you pick up this book. A unique and wonderfully written story. 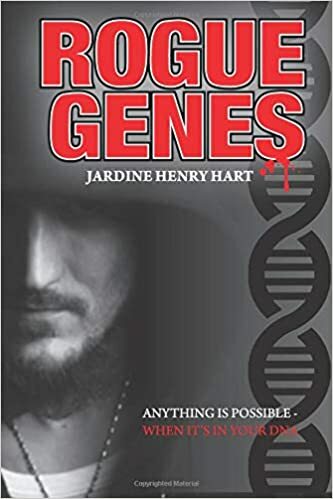 Rogue Genes, by Jardine Henry Hart tells the tale of Tommy McConachie. Abandoned at birth as a one day old baby at the hospital, he was adopted by nurse Marge and her husband Joe. After her husband died suddenly Marge found herself raising Tommy all alone. As he became a teenager he began to rebel and after spending time in a boy’s detention center he joined the army. After serving time in the Special Service Tommy returned home, but his time in the army had left its impact. When his beloved mother passes away he is intent on seeking revenge. This book is filled with all things a suspense novel should have; action, suspense, anxiety, surprise, anticipation and of course plot twists. Rogue Genes has quite a number of characters. The story begins and evolves around Tommy, his mother – Ticker, and his two best friends, Sparrow and BB. The characters are well developed and the relationships are realistic and believable. Soon, other characters are introduced, all with their own unique and interesting stories. Tommy is portrayed as a strong male character and the reader gets small insights into his past life in the military and the violence he encountered, and hints of the violence in his future. He is an intense and deeply loyal man who is searching for a woman to love and be loved by. The introduction of such a woman adds interest and direction to the story. Her character is the polar opposite to Tommy and provides a clever contrast. She has had a stable, if not sheltered, childhood. I felt that some of the bizarre coincidences and twists were a little far-fetched. Although these bizarre coincidences are part of the story, at times the intertwining of the relationships becomes almost unbelievable. Rogue Genes is still a deeply provocative and gripping read. Like all good thrillers there is plenty of action, and the reader is constantly kept guessing. It is ultimately a story of self discovery, and of course, a journey to see if good will eventually overcome evil. 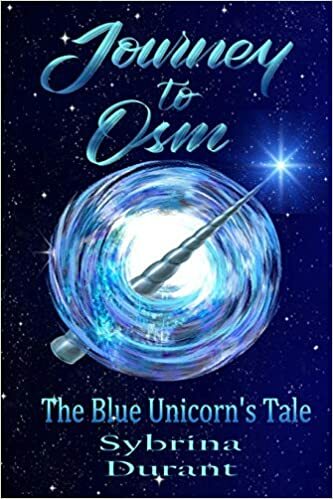 Journey to Osm follows the story of Blue, a young unicorn with a big destiny. Blue is part of a tribe of unicorns going extinct under the harsh rule of an evil sorcerer. A prophecy foretells that Blue will save them but when he is born without metal in his horn, and thus without magic, all hope is lost. When Blue comes of age at 12, he is faced with destiny but how can a magicless unicorn have any hope of saving his tribe? The book is a fun and unique YA fantasy novel. I really loved the unicorn-centric view of the story. Unicorns are often left out or less significant in fantasy stories, and I think this is a waste of a fun and interesting creature. Author Sybrina Durant furthers this by taking an intriguing twist and really exploring the magic of the unicorns as well as what unicorn civilization looks like. I really loved the world she created with the metal symbol of magic and the hierarchy that creates and the different powers that the magical unicorns possess. With an evil sorcerer, a prophecy, a fight against good and evil, this all adds up to an imaginative and exciting fantasy world. The plot of the book is that of the underdog character finding strength against evil. Blue is a very sympathetic character through this journey as he is young, sweet, and very strong-willed. From the very beginning of the book you can see how hurt he is that he doesn’t think he can save his people, reciting his mantra ‘No Metal, No Magic.’ But even with this, he does not give up. He trains hard even when he thinks there is no chance. This self-determination in the café of certain failure really endeared Blue to me as a character. Silubhra was also a character that I grew very fond of as she was so compassionate and kind. There are a lot of characters in the story, but I think the author did a good job of making them unique and interesting and I liked how we get to see multiple perspectives. This book is an exciting fantasy story. Filled with adventure, magic, love, loss, hope, action, and destiny. The story came together well and kept me engaged in the plot from beginning to end. 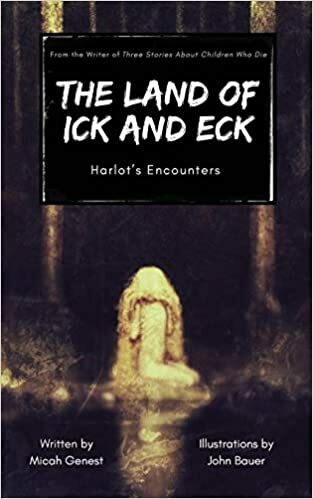 The book is a great read, particularly for young adult readers who love fantasy stories. The Aristocrat by Regine Dubono is a short story about a girl named Marianne Maywee, who lives with her family (including her younger sister, Paula) in Nice, France. One day an older man appeared in their lives and introduced himself as their godfather, Mr. Giles. Marianne and Paula go on many outings with Mr. Giles, until the day he does not come to their house as expected. Marianne learns that he’s in the hospital and she goes to visit him. Will this be the end of their enjoyable outings together? I enjoyed reading the descriptions of the sights Marianne saw on her outings and the places she visited with her sister, Paula, and Mr. Giles. The book was an interesting and quick read, but I wished that the story had been longer. The ending was too abrupt, and there were still questions that I had hoped to have answered. I was confused by the hint of romantic interest for Marianne from Mr. Giles. I wasn’t sure if he actually had romantic thoughts regarding her or if it was only an incorrect impression she got from some of their interactions. I encountered a few run-on sentences, some issues with grammar and a few typos and inconsistencies; (On one page, it was stated that Marianne and Paula were born eleven months apart, but then on the next page, twenty months separated their ages). Overall this a quick and interesting outing with Marianne and Mr. Giles.